Below you will find some great fishing related websites, have a look round! If you would like a site link on this page then please contact me by e.mail. mikehobbs@proangler.co.uk A return link would be appreciated. The governing body for game angling. Find a qualified coach and learn to fly fish. Jacklands Fishery Jacklands Fishery in Nailsea is the ideal lake for the beginner or those wanting a few hours of productive trout fishing. 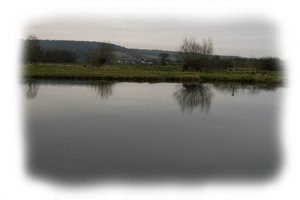 Knowle (Bristol) Angling Association River fishing for Brown and Rainbow trout as well as Grayling in the Bristol area, plus all year round lake trout fishing. The club to join. Holbury Lakes Trout fishery Four very attractive well stocked lakes near Salisbury with instruction available from GAIA coach Dieter Dent. your fly fishing experience in Fort Smith Montana. resource for the Bighorn River. www.dereksfishing.co.uk PAA Coach Derek North teaches on the Warickshire Avon and around Pershore. He is easily spotted as his Landy has more stickers than the PAA stock room! www.tryangling.com PAA coach Martin Porter. This site has plenty of information and an online weather forecast. .
RYDALE JUNIOR ANGLING CLUB PAA Coach John Craft and his partner Kristy have formed a junior angling club near Malton in North Yorkshire. They have their own water and are looking for members. Angling UK. . The Best of British Fishing The Complete UK Fishing Site. Fishery reports, help for beginners, a chat forum, free competitions, details on coaching schemes, and an online fishing tackle shop, plus categorised links to over 800 fishing sites worldwide. AnglersNet.co.uk Describes itself as "The online fishing magazine" A very popular site with lot of pics of fish, discussion forums and a tackle dealers list. You can get your own "FREE" go-fishing e.mail address. www.orvis.co.uk An excellent site with interactive flycasting lessons, all their tackle and clothing, and a list of Orvis shops. I have found the factory outlet at Clarks Village, Street, very friendly and helpful. www.prestoninnovations.co.uk Preston Innovations now have their own website with details of all products in their range. You can check out the latest kit available, and if you wish, order on line. www.bristolwater.co.uk Find out about special offers and how the reservoirs are fishing on Bristol Waters leisure page. www.bfta.org.uk Fishing for Trout from a float tube is great fun. The British Float Tube Association site lists venues where you can try this novel way of fishing. It also shows what you will need to get started and has a calender of members and open competitions. www.southernpremierleague.co.uk ISAC Individuals Sea Angling Club, NFSA British specimen club champions 1998 1999 2000 2001 results dates links. Northern Game Anglers.co.uk A new game angling magazine site, aimed at anglers in the north. www.fishtek.co.uk Jelltex soft baits, mirror finish pirks and weak link lure savers. www.bigbitesfishing.co.uk A community site where Anglers can meet to exchange news, ideas, views, some lovely pictures & also play some old arcade games.. Going to Ireland, check out this site for accommodation and fishing information. Going to Canada?! This is the man for guided fishing. Animated knots, tide predictions, forums, a very good sea fishing site. Categorised website listing many UK based sites for business and leisure. Worm breeders and suppliers, buy or grow your own by mail order! www.troutmaster.co.uk Dave Finks website with very good graphics and information on fly fishing.